At NOLA Craniofacial, we recommend a multidisciplinary approach to correcting microtia and other ear deformities in children, especially when hearing function is impaired. Our ears, after all, have a job to do. For deformities that impact your child’s hearing, you will want the support of a practiced craniofacial team: Our craniofacial plastic surgeons work closely with pediatric ENTs, and with nurse coordinators, audiologists, and speech pathologists to ensure that your child receives the absolute best care at every stage of his or her growth. A condition such as microtia might well be diagnosed in infancy, but any corrective plan must consider as well the hearing and appearance of the future grade-schooler, adolescent, and adult as well if the course of treatment is to be a success. How Common are Microtia and Other Ear Deformities? Congenital ear deformities in newborns are fairly common, actually, but most abnormalities are cosmetic and minor. They might be better termed “irregularities.” As with our personalities, we are who we are. Infants born with ear deformities should be seen by a medical team includes a pediatric ENT. (ENT stands for ear, nose and throat doctor, also known as an otolaryngologist). The ENT will be able to diagnose hearing issues in the affected ear, and to assess the need for hearing aids or other, surgical or non-surgical intervention. Children with underdeveloped outer ears (microtia), or outer ears that are absent entirely (anotia), will eventually require reconstruction. At NOLA Craniofacial, our doctors perform an advanced reconstructive procedure, constructing an outer ear from the child’s own tissue. Because the structures of your child’s ears will grow rapidly in early childhood, corrective cosmetic surgery will most often be delayed until age 7 or 8. At NOLA Craniofacial, we recommend that all children born with microtia, and even those with the most minor ear deformities, be examined by a pediatric ENT. The human ear is a complex structure—actually combining several complex structures. Often, deformities of the outer ear will indicate deficiencies in the functioning of the inner ear. 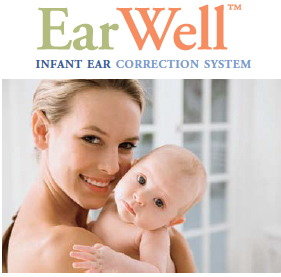 Indeed, many children each year are born without external auditory canals. In these cases, a bone-anchored hearing aid (BAHA) may be required. Thereafter, your child will likely be involved in any decision to reconstruct. Surgery may be delayed indefinitely, according to the patient and the parents’ needs, and many families decide against reconstructive surgery all together (though it has been shown that the outer ear assists with echolocation. Disclaimer: cosmetic reconstruction of the outer ear cannot recreate hearing. This procedure is concerned only with the external structure of the ear as it affects one’s appearance. Once your child has grown up a bit, a first, minimally-invasive surgery will borrow cartilage from his or her ribcage. Your surgeon will shape this material to create the stiff, cup-like portion of the outer ear. We use long-acting, local anesthesia at the donor site, which means that your child will, in most cases, be able to go home the next day. About three months later, we create the fleshy “sulcus” of the ear, using skin that has been borrowed from the thigh. This is an outpatient procedure, which means you can take your child home on the same day. Three months after that, a second outpatient surgery may be required in order to create the ear lobe and/or for any necessary revisions. Many surgeons depend on the use of synthetic implants [medpore] instead of “own” cartilage to create the structural framework of the new ear. We do not recommend this approach. Complications during the healing process—including reactions to the implants—frequently damage the soft tissue envelope, making a second reconstruction impossible should the first attempt fail. The use of a prosthetic ear is another option, common especially for adults and in cases of injury. A prosthetic ear can be anchored to the bones of the skull using craniofacial implants, though texture, color, and (again) the body’s acceptance and retention of these implants present potential complications.